Barely five years after its inception, TVCXpress Manila has become a trusted and indispensible ally of the advertising industry. It has been at the forefront of ushering in the digital age by providing end-to-end commercial video content file management solutions that have revolutionized the way the advertising community operates. This year is proving to be another banner year for TVCXpress. It has for the first half of 2014 actively supported and contributed to the biggest advertising events in the country – the Advertising Summit held last May 10 at the Subic Bay Freeport and more recently the Agency of the Year awards night, which happened on July 31 at the Rizal Ballroom of the Shangri-La Hotel Makati. In its tireless efforts to better serve its clients, TVCXpress has expanded and boosted its portfolio of services. For balance 2014, it is set to launch TVCXpress Solutions. It is a new suite of breakthrough digital tools designed to help advertisers, ad agencies, production houses, TV networks and other members of the advertising community file, manage and access multi-media content such as TV, radio and print. 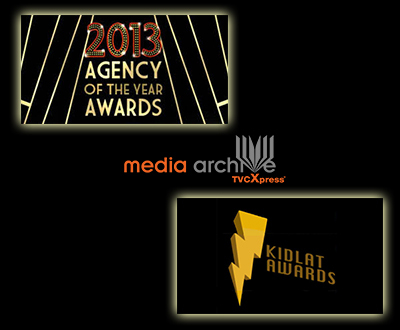 With this state-of-the-art service, Kidlat and AOY now have an effective and cost-efficient means of managing and storing data such as the list of finalists, winners, event coverage and other relevant meta data. This means that information may now be easily and securely extracted for easy reference. This is just for starters. Expect bigger things as TVCXpress remains committed to giving not just its clients but also the whole advertising industry, world-class tools and solutions that improve efficiency.